Featuring three different kinds of facial cleansers, the Face Essentials Set includes the Soap Bark & Chamomile Deep Cleansing Cream (170g), the Peach & Willow Bark Deep Pore Scrub (110g), the Facial Cleansing Towelettes with White Tea Extract (10 sheets), and one Coconut & Pear Moisturizing Lip Balm (4.25g). 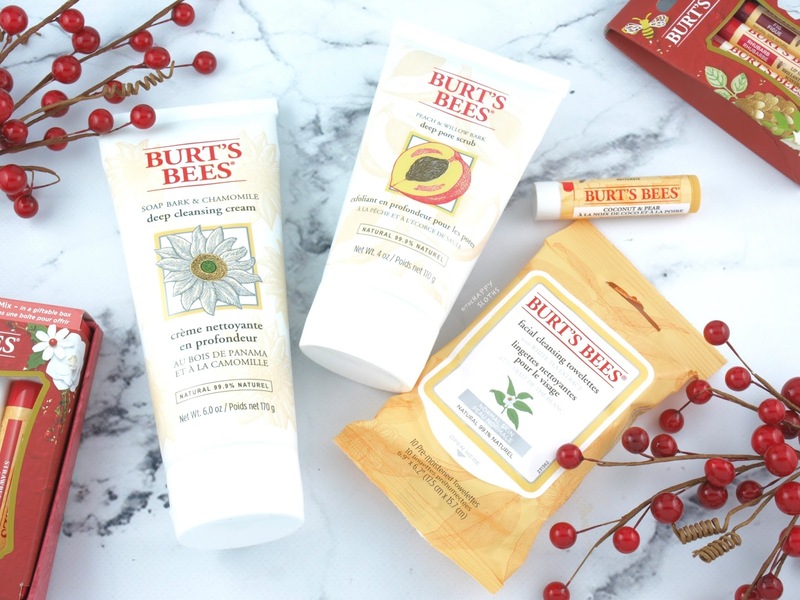 Everything is full-sized with the exception of the facial wipes, so this is great value set (worth over $34) for anyone that's new to the Burt's Bees skincare range. Also available in a "Cool" trio, this set includes three full-sized Lip Shimmers. You get the shades Peony, Rhubarb, and Fig. Each of the Lip Shimmers usually go for $6 so the set has a value of over $18. If you are a fan of sheer lip colors with a moisturizing and nourishing formulation, definitely check these out! 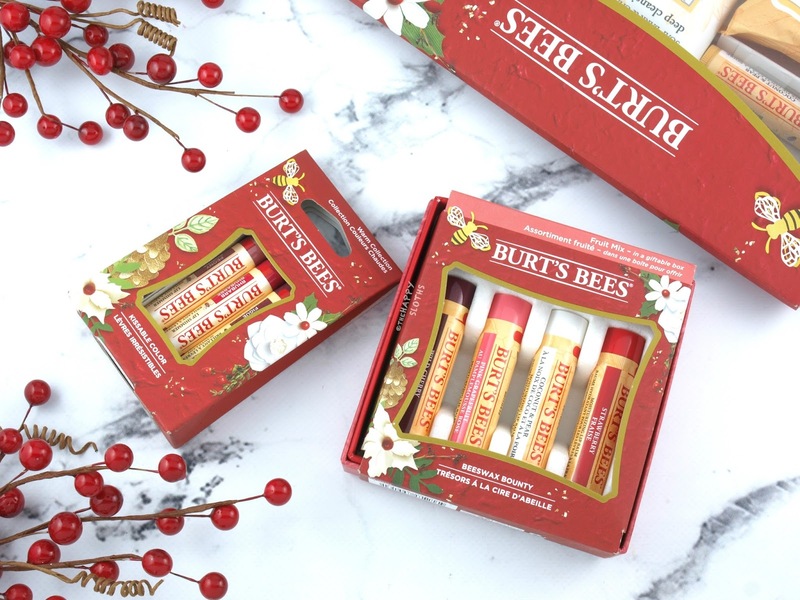 If you love the classic Burt's Bees beeswax lip balms, then this a great variety pack featuring four flavored formulations: Wild Cherry, Pink Grapefruit, Coconut & Pear, and Strawberry. I'm giving this away this set over on Instagram (see below) so if you are interested, definitely get your entries in! 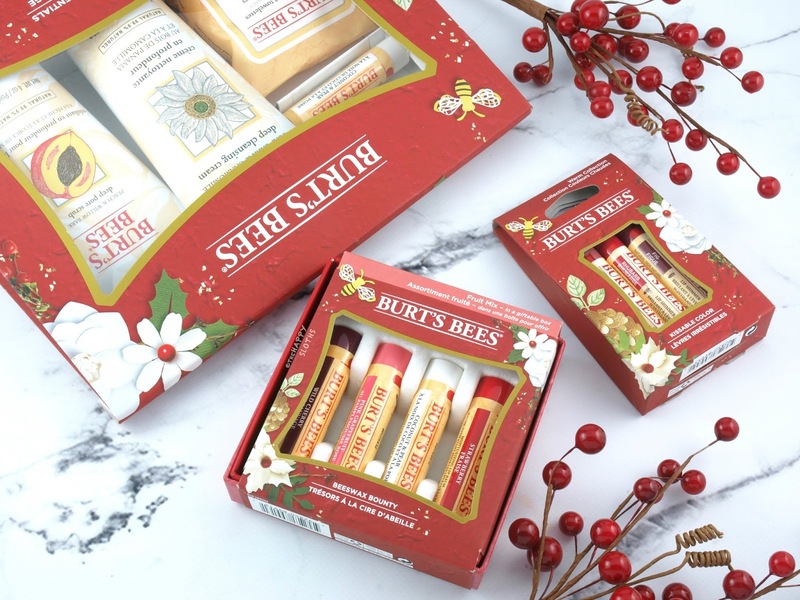 Burt’s Bees is available at national grocery, drug and mass retailers.